Much of Australia's history since European settlement has been distorted by white historians. In a bid to justify the illegal taekeover of Australian tribal land with no treaty between Aboriginals and the conquerors a lot has been hidden. If settlers moved to what they believed to be virgin land they just took it - with a quiet nod from government, of course. Any hostility from black people already there was quickly silenced at the point of a gun. Yes massacres did occur. New digital technology is now bringing the truth to light. Massacres have been mapped by a research team at Newcastle University. Professor Lyndal Ryan is taking the information to people in regional areas of Australia. The massacre map has come as a shock to purist historians who want to perpetuate the old lies put into print. Their old interpretations were clearly wrong and they do not know where to hide. New arrivals from Europe wanted Aboriginals to disappear entirely from this land. Fortunately, they did not succeed. While the established press of the time printed their rose colored garden, settlers accurately recorded what actually happened in minute detail in their journals. Since the launch of the first stage of the project people have come forward from all quarters and provided more family journals. Project mapping massacres Australia’s colonisation shows power digitising history Supported by Balnaves FoundationAbout content Helen Davidson @heldavidson Email Fri 1 Mar 201 13. 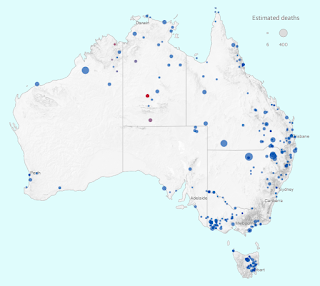 AEDT Last modified Fri 1 Mar 201 13.2 AEDT Shares 185 Killing Times illustration Since publication Killing Times, Guardian Australia received information helped identify least 50 new potential sites. Digital technology bringing Australia’s history people way wasn’t possible decade ago, leading researcher massacres Indigenous people said. Prof Lyndal Ryan, Newcastle University’s centre history violence, said “overwhelming” response. her team’s mapping massacres project’s subsequent expansion Guardian Australia had demonstrated power digitising history taking wide audience, particular people regional areas. The historian leads research team identifying locating hundreds individual massacres perpetrated colonisation Australia. Last week, Guardian Australia launched Killing Times, interactive project , collaboration Ryan’s team eight months, drew research, expanding analysing it. “We both have same aim – generate discussion Australia’s past, [to make] past visible,” Ryan told digital history seminar Sydney’s university technology. 'A tragic history': trauma 192 massacre echoes years “Australia’s history been invisible long time massacre map way bringing – international audience well local audience – frontier massacres took place … their impact Aboriginal Torres Strait Islander people.” The Guardian’s Indigenous affairs editor, Lorena Allam, appeared panel Ryan, said data “solid conservative”. “This settlers wrote their journals,” she said. “It’s hard wriggle reality that.” The Newcastle team launched second stage map July last year, prompting hundreds people contact them more information. Since publication Killing Times, Guardian Australia been contacted more 40 people information been shared across two teams, identifying least 50 new potential sites.